At home, he can relax in his own environment, and you can ensure the distractions are at a minimum. You can help him to learn in the ways that suit his style, at times when he is most eager to learn. Welcome to the other side of ADD on this site devoted entirely to exploring positive and alternative views of attention deficit disorder (ADD/ADHD), written by Teresa Gallagher. By Robert Locke MBE. You will quickly find answers about the causes of ADHD and what to look out for in getting an ADHD test, the limitations of ADHD medications and the advantages of a more natural approach. Find out if homeschooling is the ideal education choice for your child with with Attention Deficit Hyperactivity Disorder (ADHD). Learn what the pros and cons of homeschooling vs public school are and how you can help them learn. Homeschooling LD/ADD Children: Great Idea or Big Mistake? It’s becoming increasingly common for parents to pull a miserable LD or ADD youngster out of school in the middle of the academic year. It’s as though something suddenly snaps. by Suzanne H. Stevens. Once these children are at home and have “deschooled” for a year or so, their parents begin to wonder if some large part of the learning disability they’ve been told about might not be school-induced. 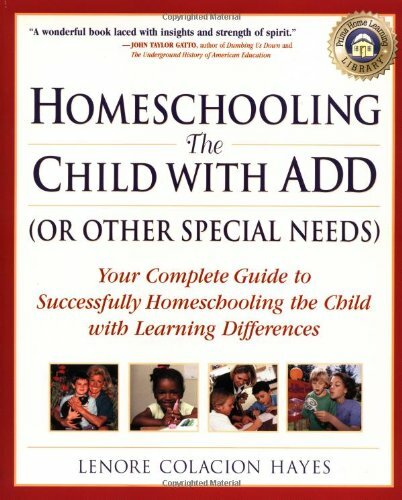 More and more parents are realizing that homeschooling is a great option for children with ADD, ADHD, and other special needs, Homeschooling parents can tailor the learning experience to precisely fit their child’s requirements, a critical neccessity in the develpment of special-needs children. So, how can you provide the most effective education for your child at home? Whether you already homeschool, are considering it, or just want to help your child after school, Homeschooling Your Struggling Learner helps you teach your child at home. 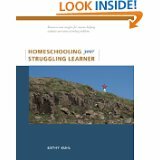 Kathy Kuhl homeschooled her struggling learner for 4th-12th grades. After he graduated, she interviewed 64 homeschoolers with children with different learning problems, including autism, learning disabilities, AD/HD, and other conditions. She distills their wisdom while conveying her own experience and insights. See her website, Learn Differently “Her scope of knowledge, sensitivity to the questions and needs of parents…, and list of resources are invaluable to any parent who homeschools their child.” Larry B. Silver, M.D. “Anyone who lives or works with a struggling learner will find many a valuable nugget to aid in their work with these children.” Barbara D. Ingersoll, Ph.D. “Kathy’s experience, wisdom, and knowledgeable advice will be of immeasurable assistance and comfort for you.” Richard D. Lavoie, M.Ed., M.A. Carol Barnier knew that her son — more likely to be sitting on the table (or the refrigerator) than in his chair — was worthy of high expectations. She also knew that he could easily miss achieving them if she didn’t find the right key to unlock his capacity to learn. Carol found volumes of information on how to recognize the challenges in ADHD (Attention-Deficit/Hyperactivity Disorder) children, how to manage them, how to discipline them, and how to accept them. But no one told her how to teach her son math tomorrow. In her search for solutions, she developed techniques that are not only fun for all children, but highly successful with any child who struggles with focus. While most people are aware that ADHD children possess great volumes of energy and an inability to focus, only those of us who live with them have come to know and love that delightfully quality known as “Impulse Control.” By Carol Barnier, Family Times, Feb 2001. As a general rule, the attention span of boys tends to be shorter than that of girls. Obviously this varies with each child. There are more boys who suffer from ADHD. And even boys who have wonderful powers of focus still have a tendency to move, bounce, fiddle with objects, look around, and generally want to be on the move. By Michelle Caskey, Homeschool Your Boys. Jumping Jeepers! Why Won’t These Kids Sit Still? Once you have seen genuine hyperactivity, you will never mistake the liveliness of the Erica’s of the world for this kind of pathology. By Dr. Renee Fuller. If you want to see an immediate improvement in attitude in your family, replace pink and cool white fluorescent lighting with full spectrum light bulbs inside your home. I chose not to medicate my son after doing extensive research, soul searching and discussion with him over the years. I loved my son as he was. As a child he shone to me like a beam of light, always happy, fun loving and kind. By Heather Haines, SunnyHomeschool/Unschool, Saturday, 21 February 2015. There’s no question about it. Certain kinds of classical music can calm down your child (and you!) faster than just about anything else. After 6 difficult months, I stopped thinking in terms of “what works for most children” and I finally began to find out what works for MY child. Over the years we developed tricks and strategies that clearly made a difference. From Carol’s Web Corner. By Thomas Armstrong, Ph.D. Dr. Armstrong offers fifty non-drug strategies for helping a child overcome attention and behavioral problems. These include activities for increasing self-esteem and making the most of vitality and creativity. Unfortunately support for Moms with ADHD is hard to come by, and nearly nonexistent for ADHD Moms who homeschool. We pray this group will meet a need, and be a blessing and encouragement. Families with challenged or gifted learners can discuss those issues in this forum. Support group for parents (and grandparents) of ADD or ADHD children who are interested in homeschooling or have chosen to homeschool. This list was created for those who are members of the Body of Christ, but others are welcome as long as they respect the beliefs and flavor of this list. For those who have chosen to homeschool their ADD/ADHD, gifted child. Share the joys, challenges and frustrations of homeschooling/unschooling your child with other families. Non judgemental group to help support our kids to make them as happy and healthy as possible. No selling, advertising or bashing of any kind. The purpose of the group is to support parents of ADHD children, not to convert anyone to a religion. However, occasionally discussions of a religious nature come up, for example a member might ask for a recommendation for a Bible curriculum or ask for prayer in a challenging situation. Feel free to ignore such posts if you aren’t religious. This group is intended as an inclusive group for homeschooling parents with spirited children as a place to share frustrations, seek advice or generally comment about their learning journey with a spirited child. Mother with ADD and active kids writes about homeschooling with ADD in whole family. From Sassafrass Grove. This is where I’ll share my triumphs and struggles as I start a homeschooling journey with my Awesome children: Sir Dragon (8) and Princess Dragon (5). My son taught me that distractible, messy, disorganized children are perfectly suited to learn in their own way. It was my mistake keeping him in school as long as we did. I’m glad we finally walked away from those doors to enjoy free range learning. By Laura Weldon. I can literally remember sitting in the psychiatrist’s office as he basically told us that if we didn’t medicate our child, he would never feel successful. But something inside me knew there had to be another way. By Stephanie Harrington. The magazine resource site for women and girls with Attention Deficit Disorder. The only site on the web dedicated to providing you with the best, most up-to-date information and resources for females with ADD. Catalog of materials for those working with ADD kids and their instructors and family members. Site has a number of good articles about ADD. Transforming the difficult child. 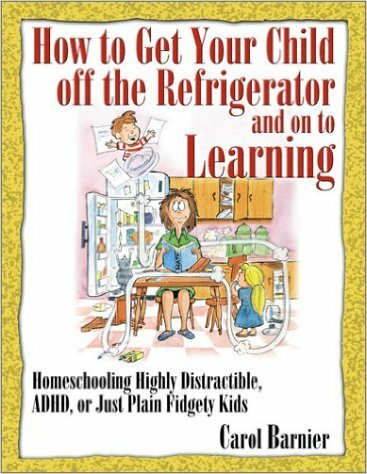 A book about an alternative approach to calming an ADHD child. The author, Howard Glasser, will also be holding a series of workshops nationwide.